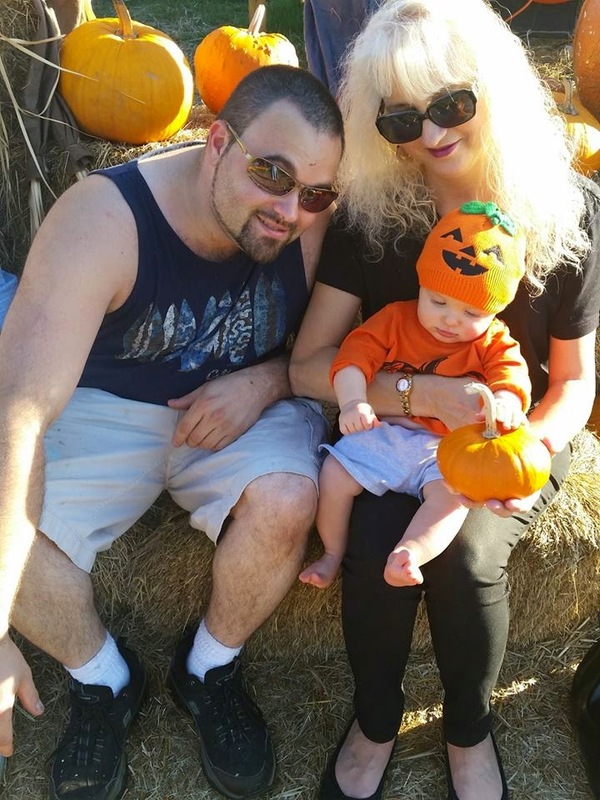 Well this has been a fun month so far, making fresh baby foods for the grandson, then being his first Halloween we took him to the pumpkin farm this past week along to the Zoo where they had a great display of Halloween fun for the kids. Antonio seemed to have a great time at both. After coming home with some small and huge pumpkins I decided to roast one. 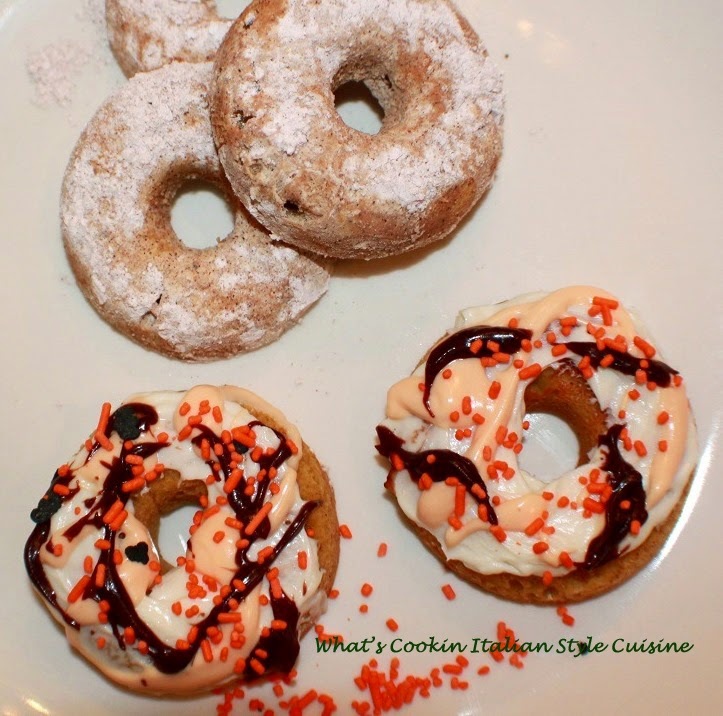 I had so much pumpkin left over I froze some, gave Antonio some which he loved mashed and then made this delicious pumpkin donuts made with some of the puree. 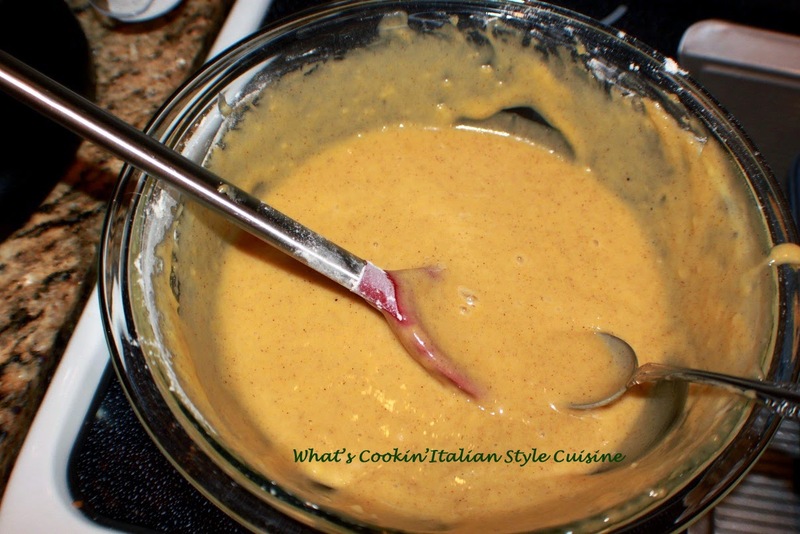 Keep reading for the recipe after all the fun photos! i wouldn't miss trying this recipe they're amazing. Dont worry if you don't have fresh pumpkin used canned . These are great just shaken in powdered cinnamon sugar. Did I tell you they're also addicting? 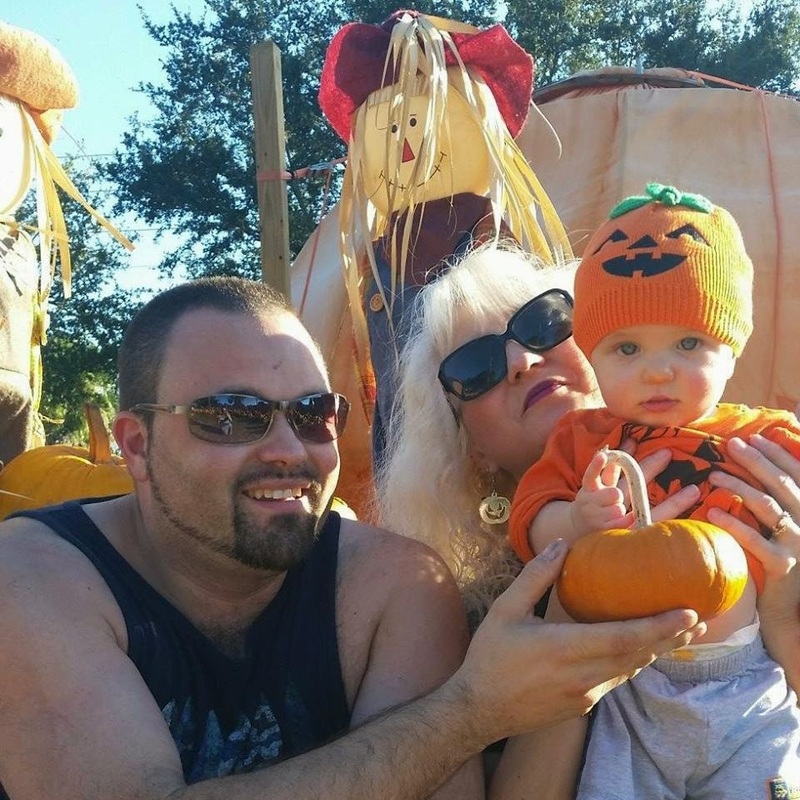 This is my precious grandson Antonio at the pumpkin farm, oh and that other good looking guy is +Curt Iffert my son sitting next to me, you probably know him from Curt's Delectables. Spray your non stick donut pan with oil. Add 2 tablespoons of batter for each donut. Bake at 350 degrees in a preheated oven. Cook for 10 to 12 minutes. While still warm shake in a bag mixed with 1 teaspoon cinnamon and 1 cup powdered sugar. You may have to do that twice to coat well. If your doing these for Halloween and want to be festive, I use vanilla to frost the donuts, orange tinted vanilla frosting for that drizzled look along with chocolate frosting. 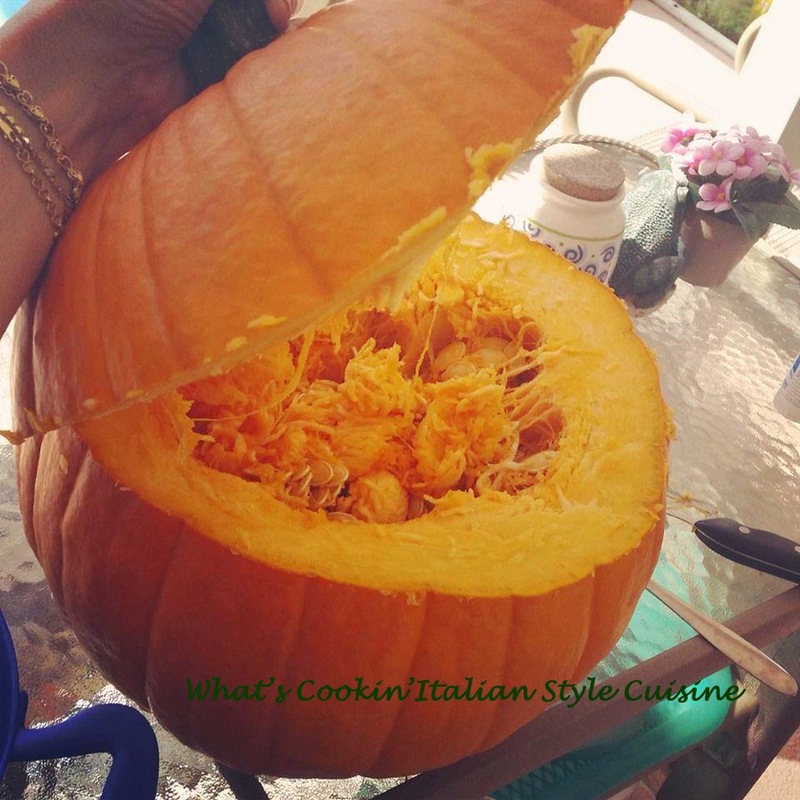 Try these other pumpkin favorites! They look so good. A few months ago I bought the donut pan (and forgot about it until I read this). I'll have to see if I have any canned pumpkin. 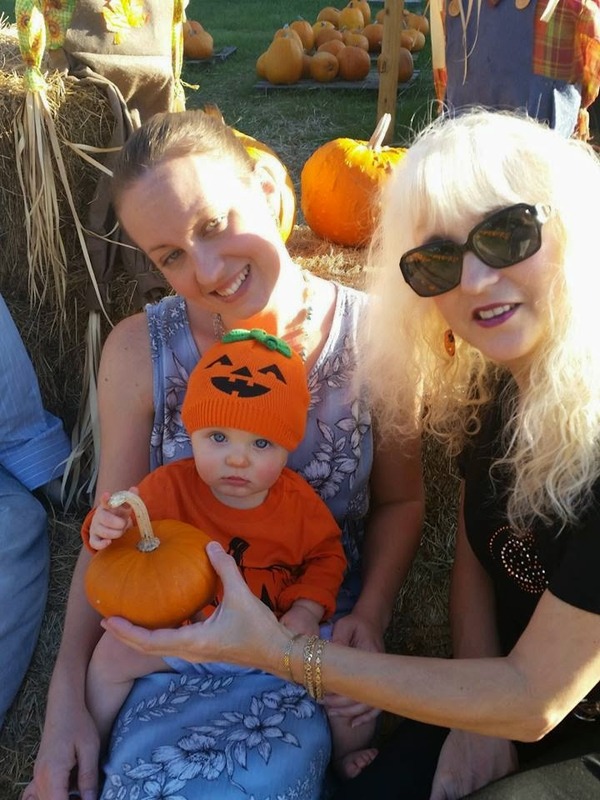 Your little pumpkin is adorable! Looks like he had fun with grandma. Dear Claudia, Walk a beautiful family. Your little grandson is a doll. The donuts sound great too. 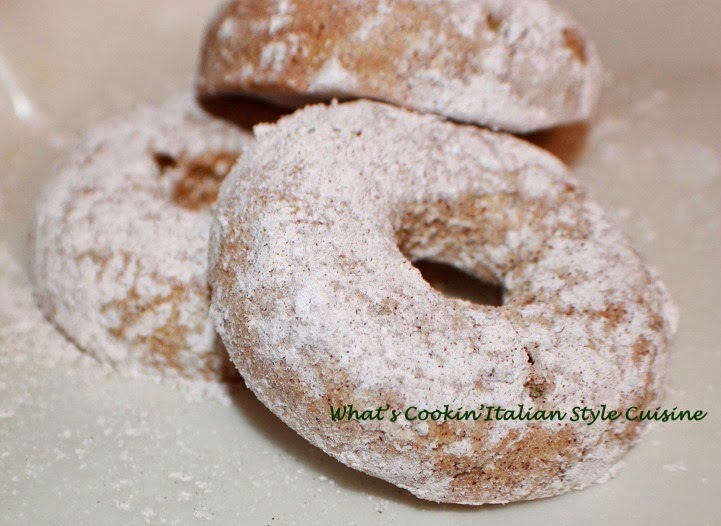 A nice healthier version for donuts.